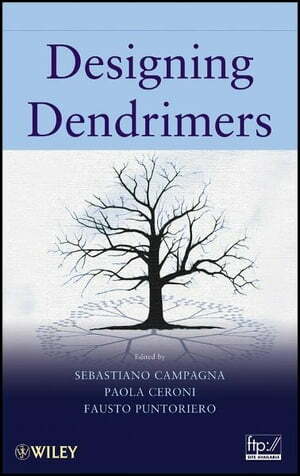 Collins Booksellers - Designing Dendrimers by Sebastiano Campagna, Paola Ceroni & Fausto Puntoriero, 9781118111062. Buy this book online. Research on dendrimers has exploded in the last 15 years, moving from the establishment of synthetic methodologies, particularly in the early years up to the end of nineties, towards sophisticated and wide-ranging applications. Dendrimers play an important role in many different areas, spanning from basic synthetic approaches to artificial photosynthesis, to medicine, to catalysis. The great potential of dendrimers is well-recognized by the hundreds of papers in the field and the increasing number of patents, and stimulated developments in other areas of knowledge, including new characterization techniques. However, some basic principles and methods still continue to give a unity to the field. Although several books on dendrimers have been published during these 15 years, the very recent progresses in new areas now requires a new point of view, trying to give a unifying and comprehensive outlook of the field. Since the first dendrimer was synthesized by Vögtle in 1978, dendrimers have experienced an explosion of scientific interest because of their unique molecular architecture. This resulted in over 5,000 scientific papers and patents published by the end of 2005. The proposed book will cover both fundamental and applicative aspects of dendrimer research. Chapters devoted to basic principles, synthetic methods and strategies, and advanced characterization techniques will be integrated by chapters illustrating the full potential of dendrimers in various fields, like artificial photosynthesis, multi-redox pool systems, diagnostics, biomedical and sensing purposes, design of functional nanostructures. Particular emphasis will be devoted to possible future developments.